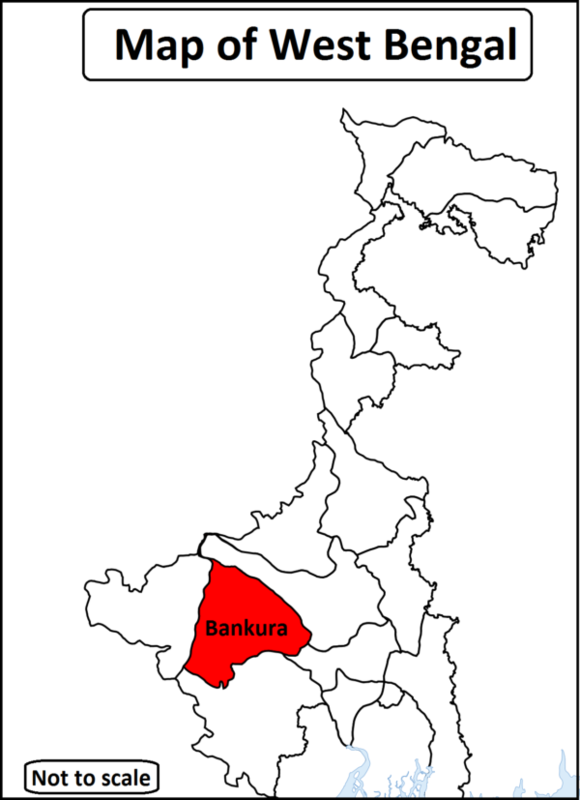 Bankura is located in the Western part of West Bengal state. 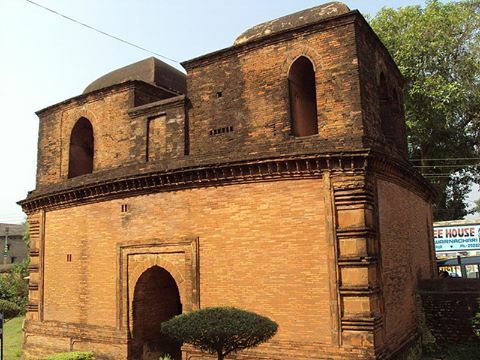 It is a great historical place and popularly known as Rarh area of Bengal. Read this article to know about the best tourist spots in Bankura District. 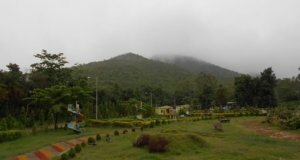 Arts and architecture, dense forest, hill area and scenic views, these all are the attraction of Bankura District. 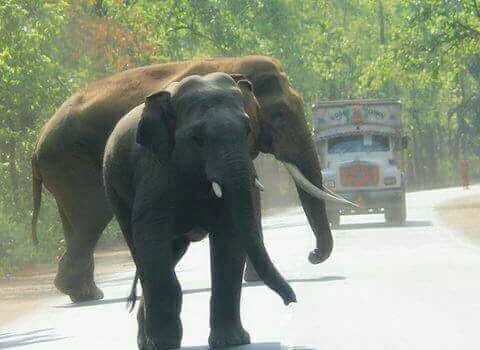 Winter is the best time to visiting Bankura District. 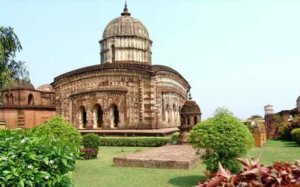 Bishnupur is a beautiful town of historical importance situated in Bankura District in the western part of West Bengal. 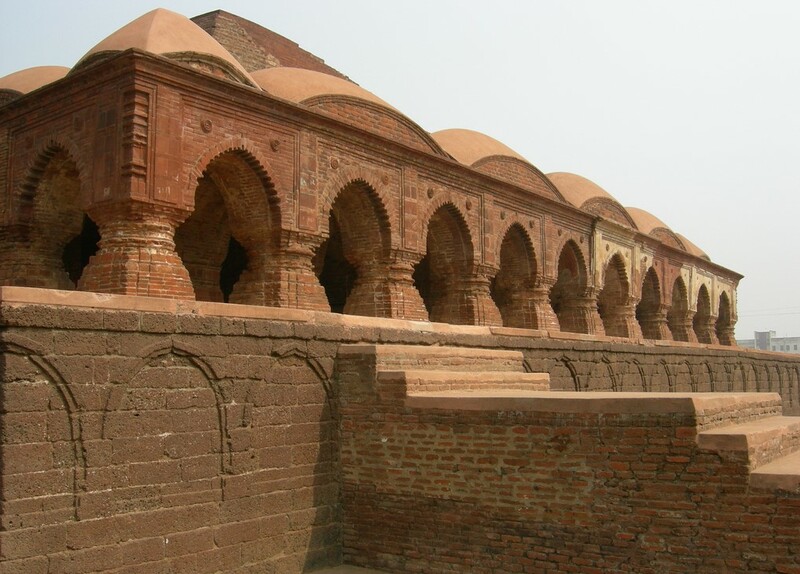 Bishnupur is famous as a “Terracotta Capital” of Bengal. It is located just 30 kilometers away from proper Bankura. 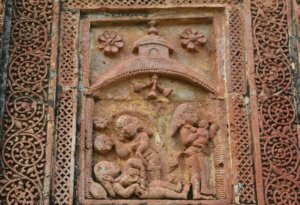 Bishnupur is famous for terracotta temples, Shree Krishna Raslilla and balucheri sarees. It is considered as a great tourist destination for its unique architecture and handicrafts. 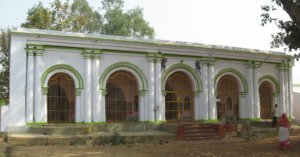 During the Malla times, there are around 16 temples in this town. This all beautiful temples made from the locally available laterite stones. 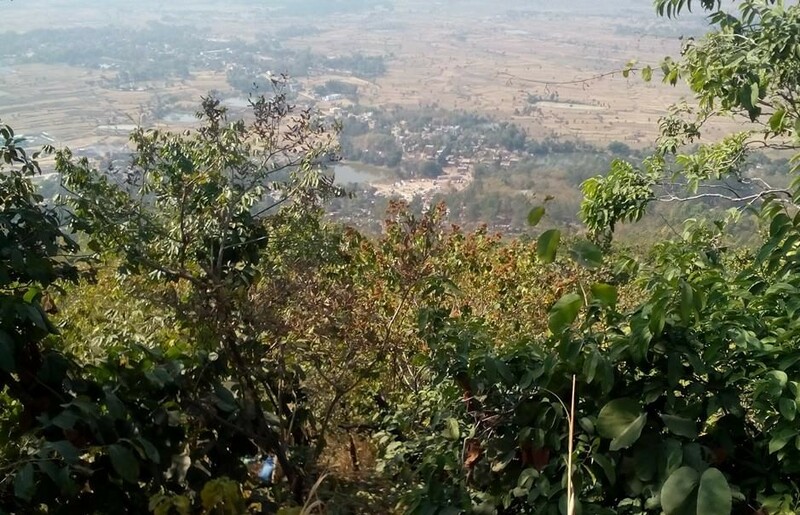 Click on the images below to see in large. 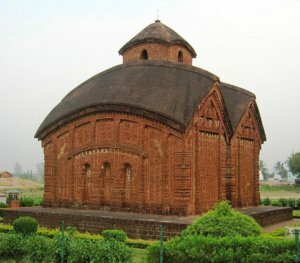 Gokul Chand Temple situated in Bishnupur. 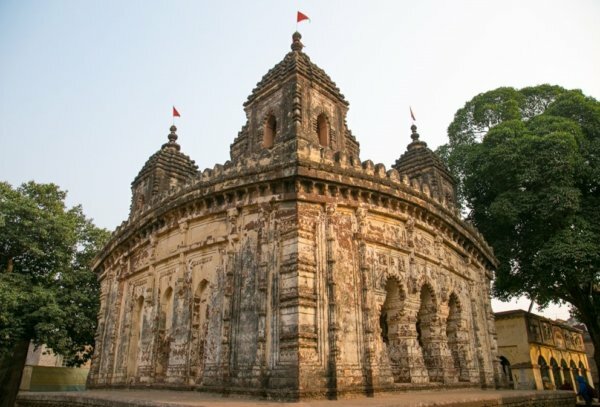 This temple is famous for its unique structure and door frame. 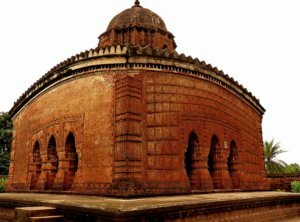 It is built by Raghunath Singha Deb in 1646 and the 64 feet high temple is the biggest laterite-stone built architecture in whole West Bengal. 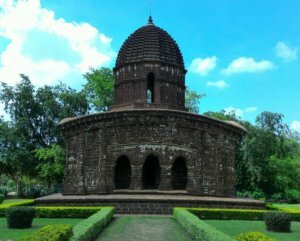 Rankeni Mata Temple is a very old temple at Bishnupur in Bankura District. This temple is very near from Mukutmanipur. 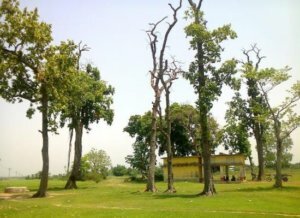 The area of this temple is too long and it is a great picnic spot. 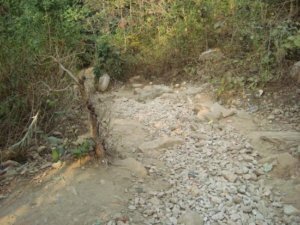 As well as the garden also maintained very well. 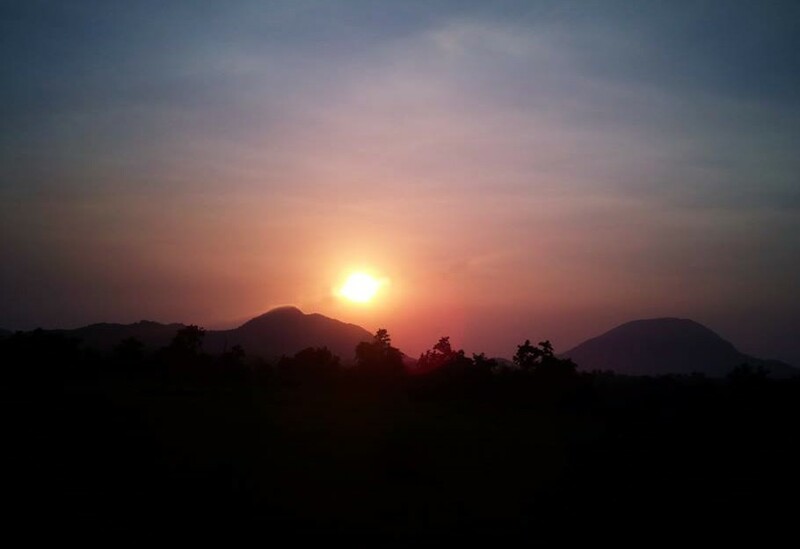 Birds’ song, sunset, temple structure and the atmosphere these all are really amazing and this all features make this place like a haven. 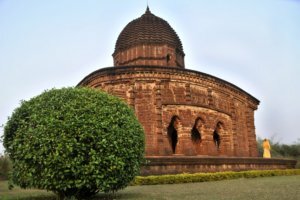 Radha Madhab Temple is situated in Bishnupur. 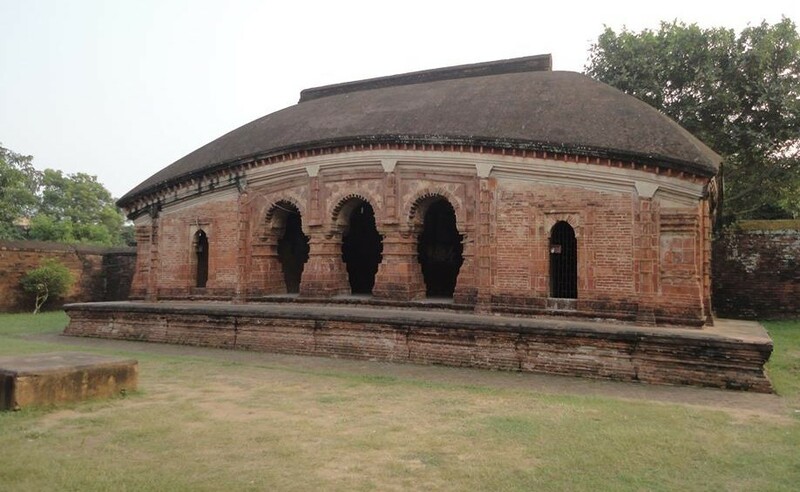 This south-facing holy temple was built by Chudamonidevi, wife of Malla king Krishna Singha in 1737. This is a very old temple, which is dedicated to Shree Krishna and it has a huge historical story. 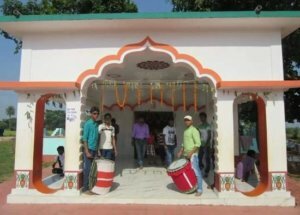 In the month of January, a big fair is held inside the temple, which attracts people from whole Bankura and other districts. 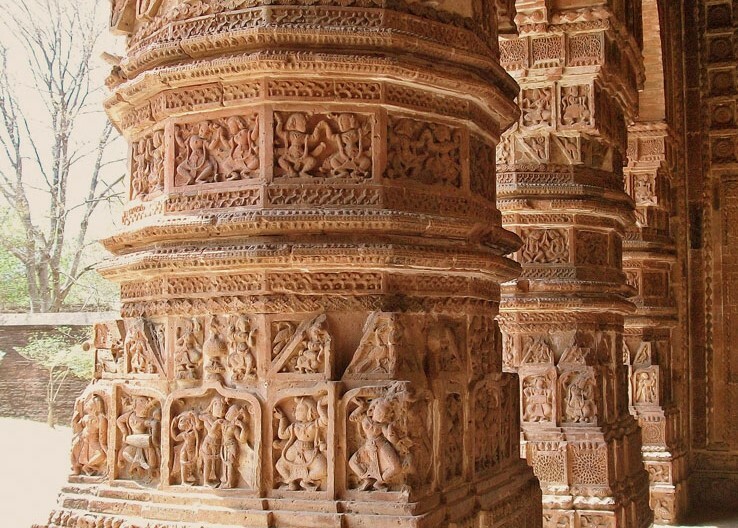 The unique structure makes this temple popular and creates an attraction for the tourist. 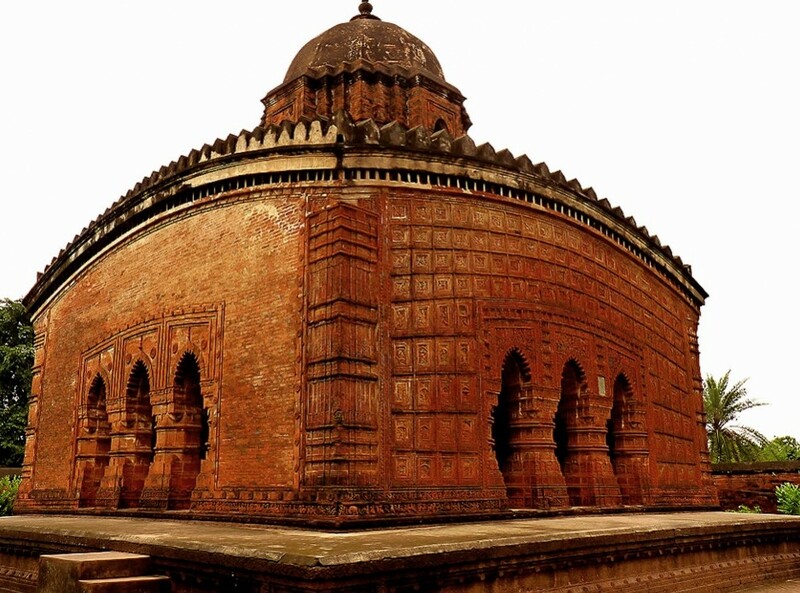 The Rashmancha is a historical building situated at Bishnupur in Bankura District. 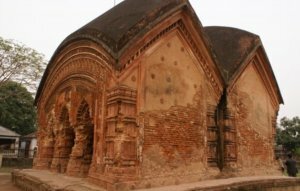 It is the oldest temple, made of Brick. 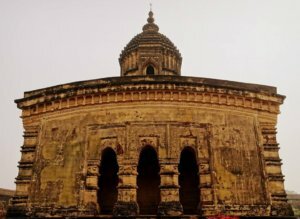 It was constructed by King Bir Hambir in 1600 CE. 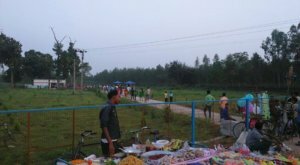 Rash Yatra is the main festival of this temple. The elongated pyramidical tower structure of this temple is the prime attraction of this spot. Jor-Bangla Temple is a very old temple in Bishnupur, which is dedicated to Lord Krishna & Shree Gourango. 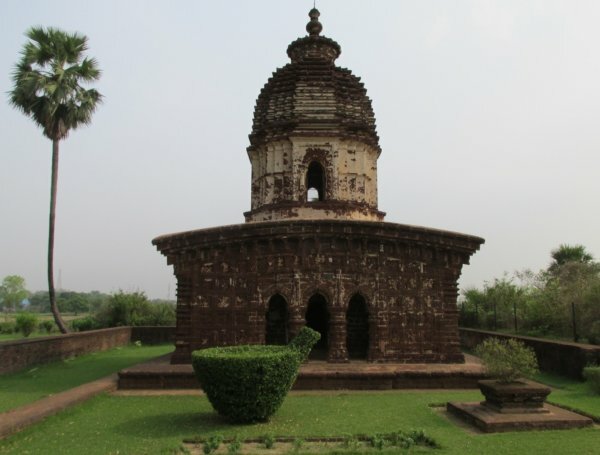 It was built by King Raghunath Singha Dev in 1655 AD. This beautiful terracotta structures temple also known as Kesta Rai Temple. 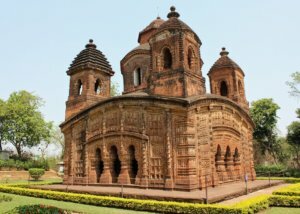 This temple is the most remarkable architecture in West Bengal. 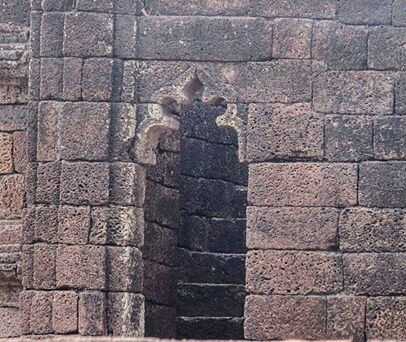 The style and formation of this temple are too different from the other temples. Pancha Ratna Temple was built by King Raghunath Singha in 1643 AD. 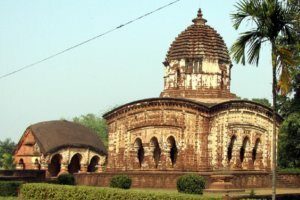 It is one of the most beautiful temples in Bankura district. 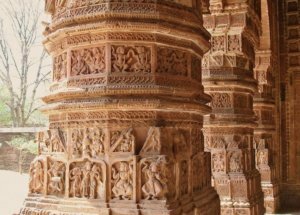 The terracotta arts of this temple are so unique and old, that’s why every tourist came here to see this amazing formation of this holy temple. The Madanmohan temple is famous for its harmonious blend of terracotta and stone. This temple is the heart of Bishnupur. 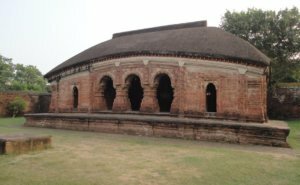 The Eka-Ratna style temple was constructed by King Durjana Singh Deva in 1694 AD. This holy temple was dedicated to the famous couple Shree Krishna and Radha. The Lalji Temple of Bishnupur, dedicated to Shree Krishna and Radha, which stands on a high point. The Bengali type of architecture was built by Bir Singha II of Malla dynasty in Ek Ratna style in 1658 AD. 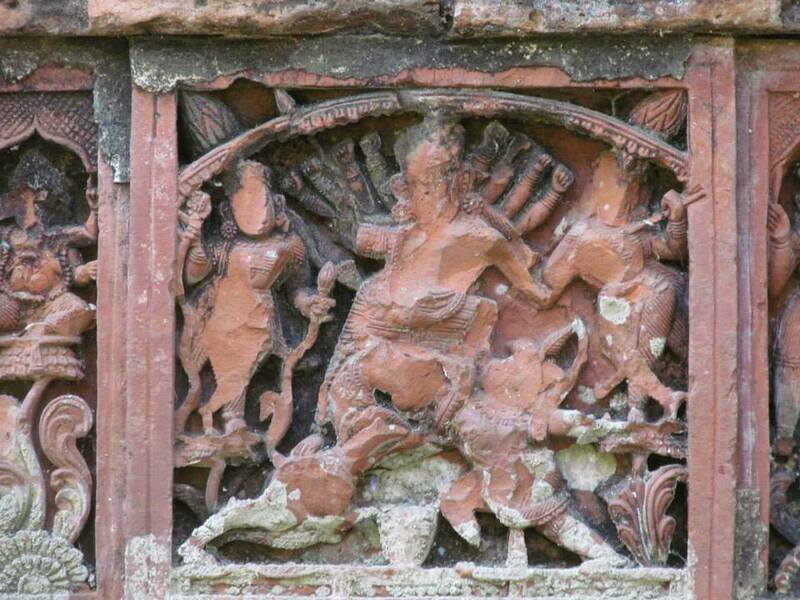 Now the terracotta temples of Bishnupur are on the tentative list of UNESCO world heritage site. 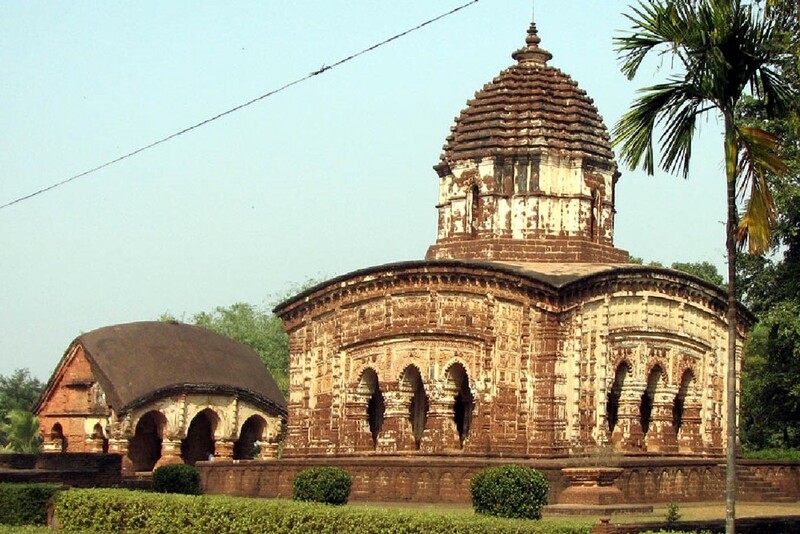 Radha Shyam temple is also a very old temple of Bankura District. 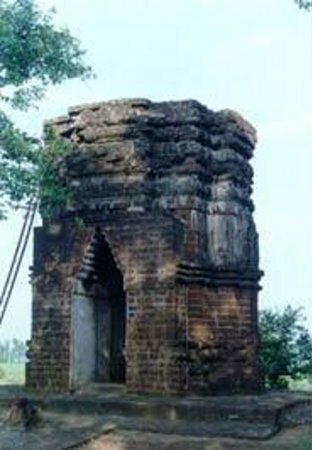 The Eka-Ratna stylized temple was built by chaitanya Singha in 1758 AD. 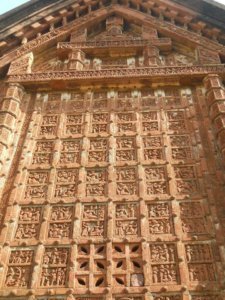 This holy temple was built on a square plan, consisting of a dome-shaped shikhara and stucco motifs depicting floral, geometric and depiction of the life from puranas. 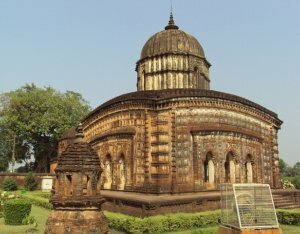 Nandalal Temple is situated at Dalmadal Para in Bishnupur. 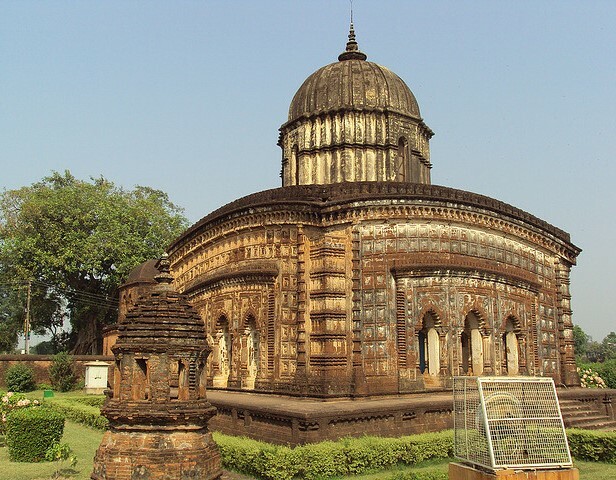 This square structure temple was built in the 17th Century. 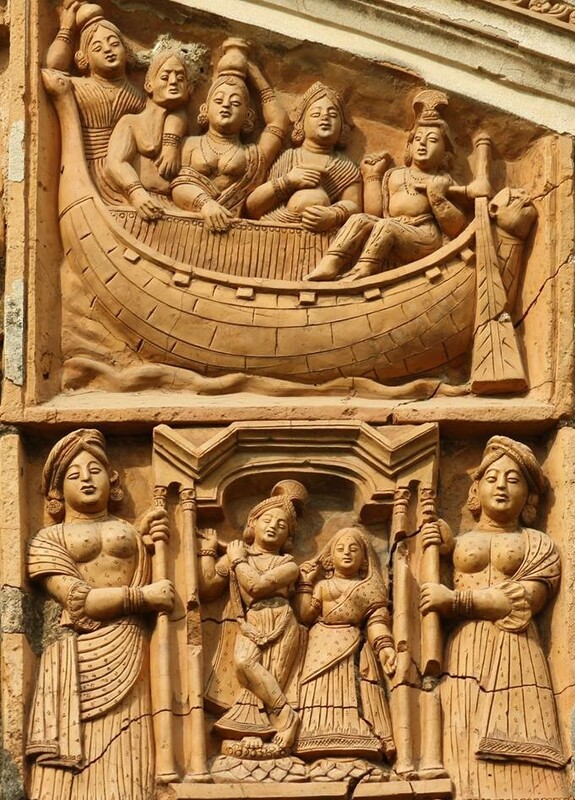 Shree Krishna has so many names, Kalachand is one of them. 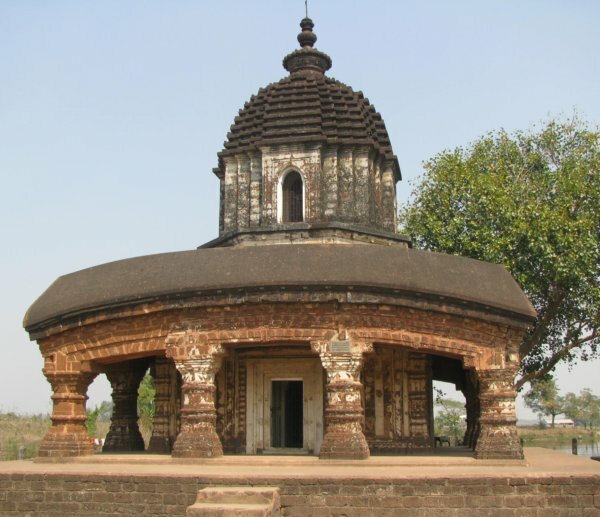 This temple was built by King Raghunath Singha in 1656 AD. 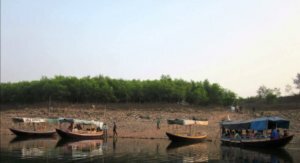 The scenic beauty of this place is the most attraction for the tourist. 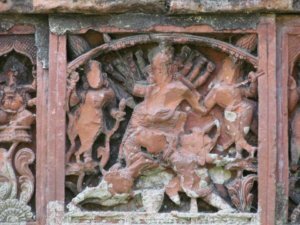 I the year 1659 Radhavinod Temple was built by Raghunath Singha I. 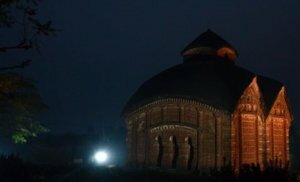 This oldest temple was made by Brick. Madangopal Temple is the second Pancharatna Mandir in Bankura District. It was built by Shiromani Devi, Queen of veer Singha II in 1665 AD. 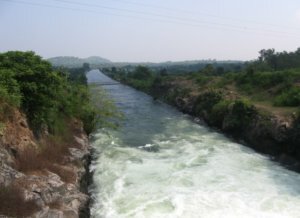 It is situated just opposite to Mrinmoyee temple. 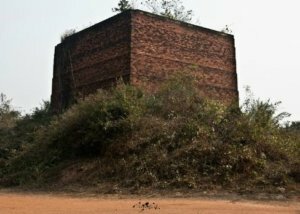 Murali Mohan Temple is an Eka-Ratna temple it’s like the shikhara-type tower. 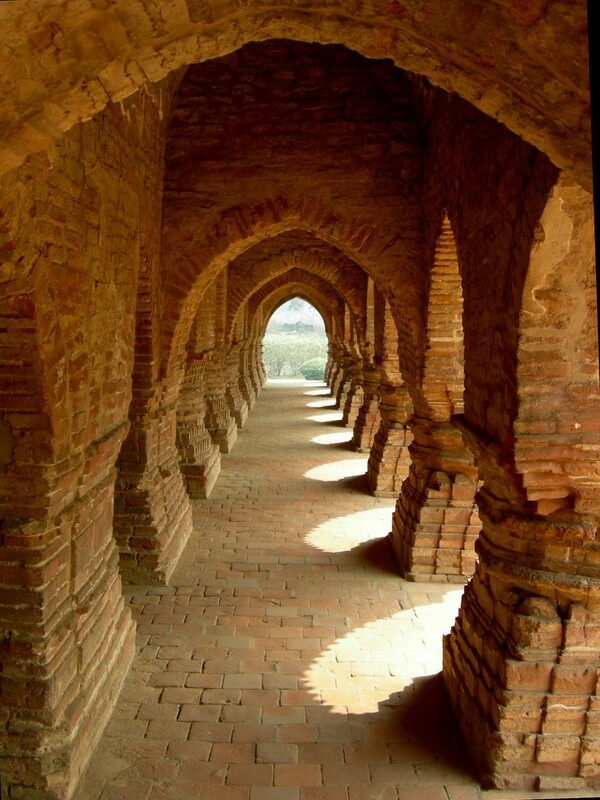 In the year 1665 AD it was built by Shiromani Devi, Queen of veer Singha II. 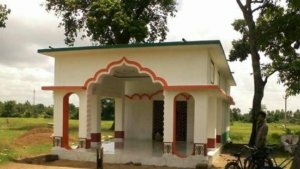 Radha Govinda Temple is one of the most beautiful temples in Bankura District, which is dedicated to Lord Krishna and Radha. 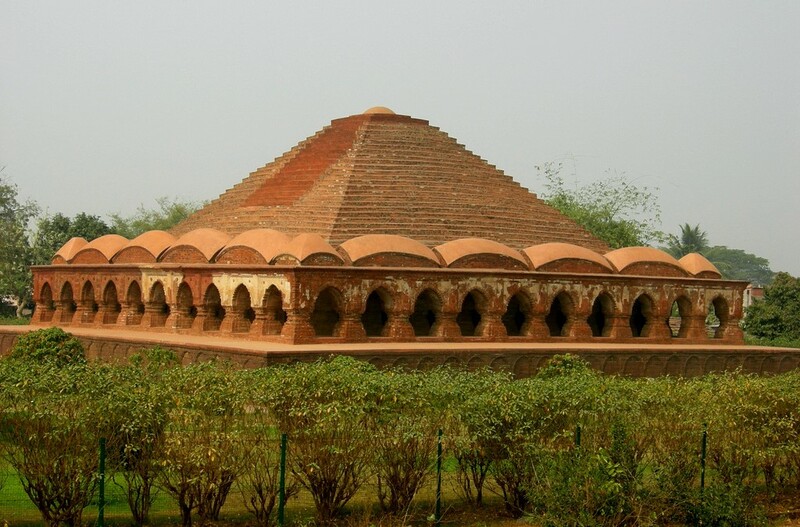 It was built by Krishna Singh, son of Gopal Singha in 1737 AD. 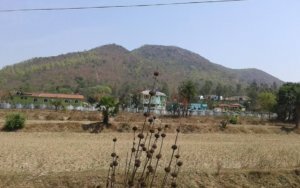 This temple is Ek Ratna style with laterite. Mrinmayee Temple is located in Bankura, West Bengal. It is situated at the time of ancient Period. 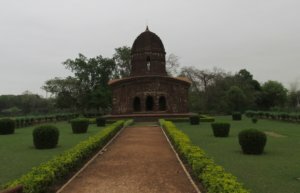 It is a historical place and covering with the beautiful garden. 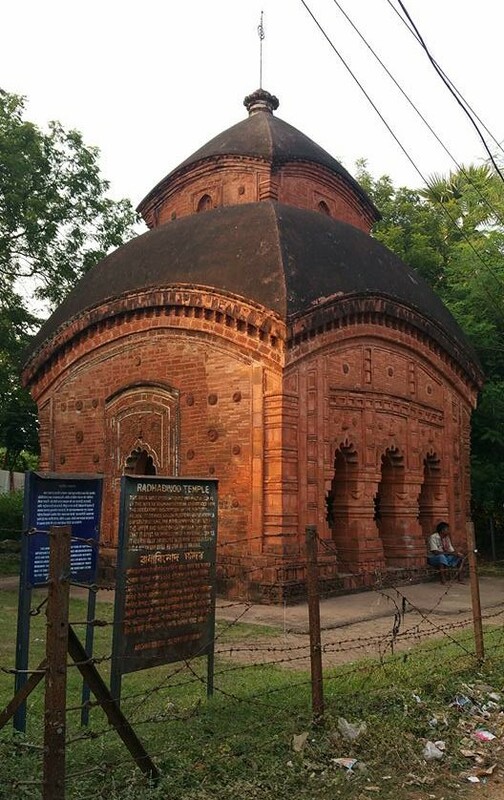 This old beautiful temple dedicated to Mata Durga. 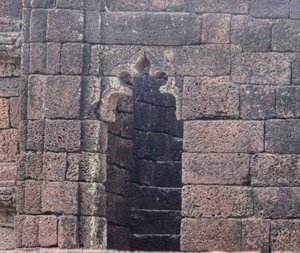 It was originally built by Jagat Malla in the year 997 AD. 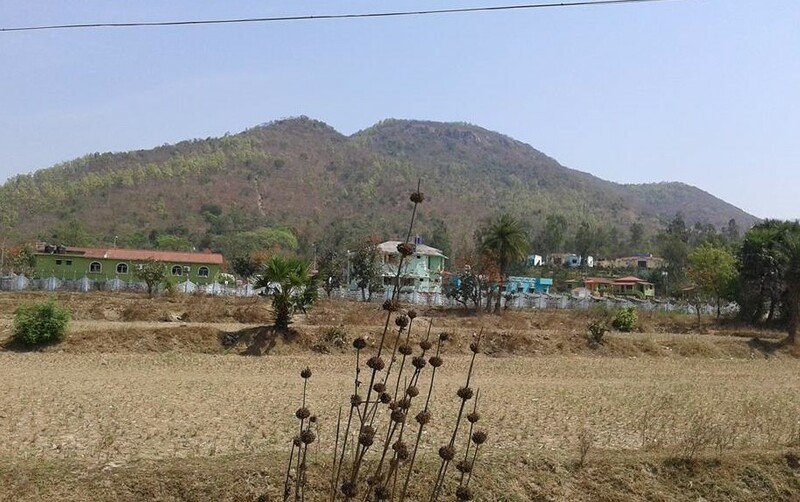 If you have seen all pictures of the temples, then you think this all pictures are looks like same. 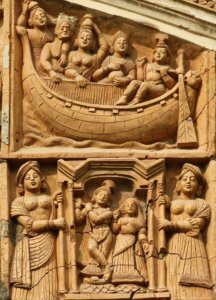 But I am telling you this all temples are not same, it differs from the other. 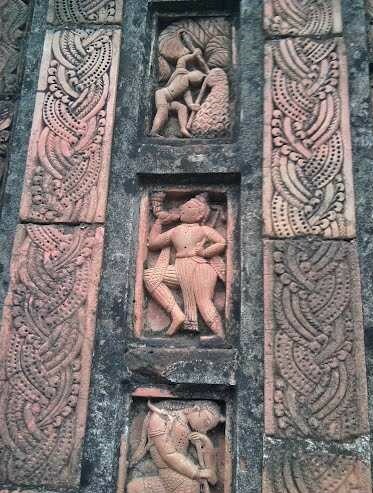 This all are made by the terracotta structure but if you have seen this all pictures with your full attention then you can imagine the different between this all temples formation. 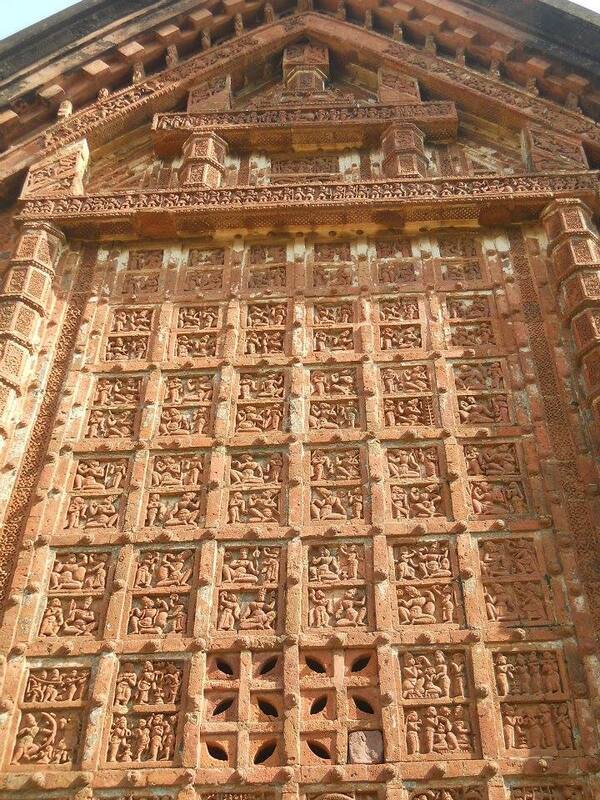 It is made by bricks and the terracotta arts of this temple is so unique. 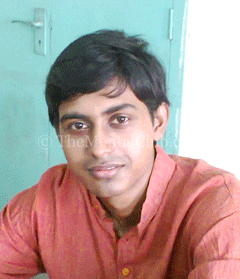 Durga Puja is the main festival of this place. 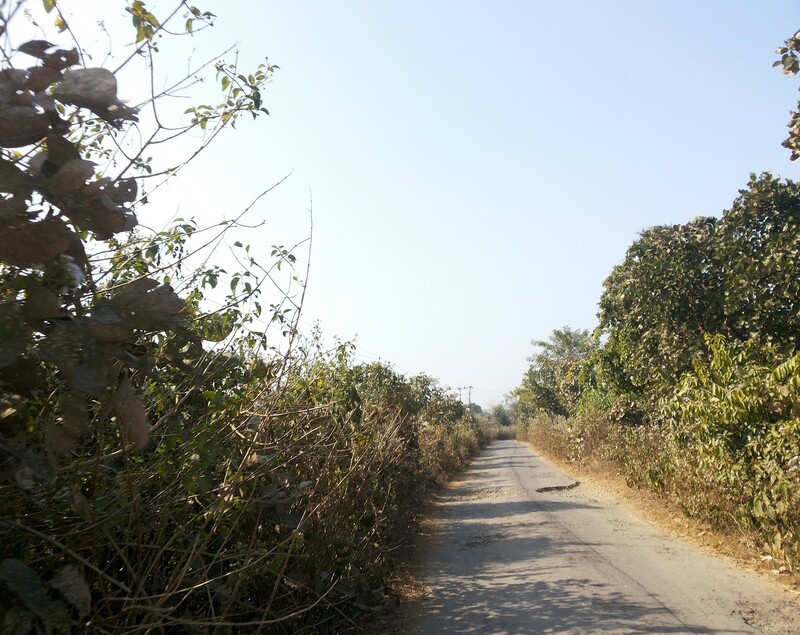 Susunia Hill is situated in Bankura District and it is just 45 minutes away from Bankura town. 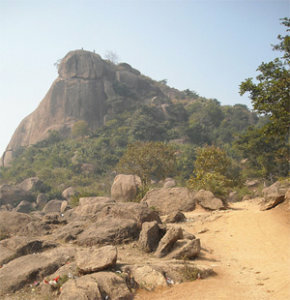 It is one of the most popular tourist spots in Bankura Districts. Susunia hill is the second highest hill of Bankura District. 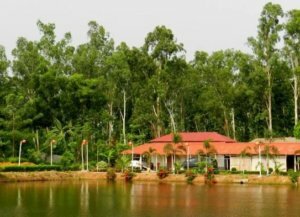 It has a scenic view of golden Bankura. Climbing and trekking facilities also available here. On the top of the Susunia hill has a scenic view of golden Bankura. 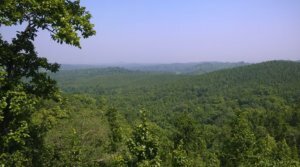 Jhilimili Forest is another one heart touchable destination of Bankura District. 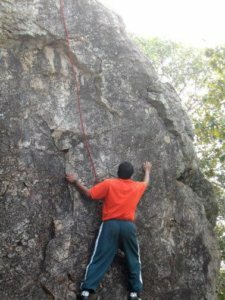 It is a great adventures place and silent nature of this forest is the main attraction for the tourist. 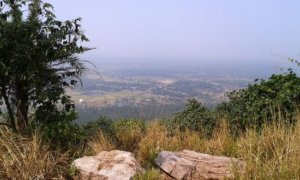 It is situated on the bank of Kangsabati near Bankura and Purulia Border. 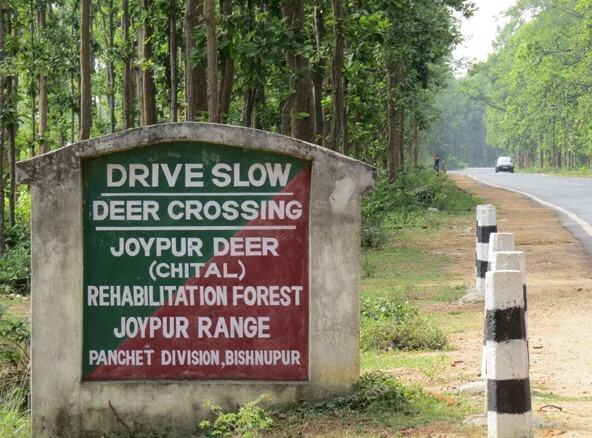 It is just &0 kilometers away from Bankura town. 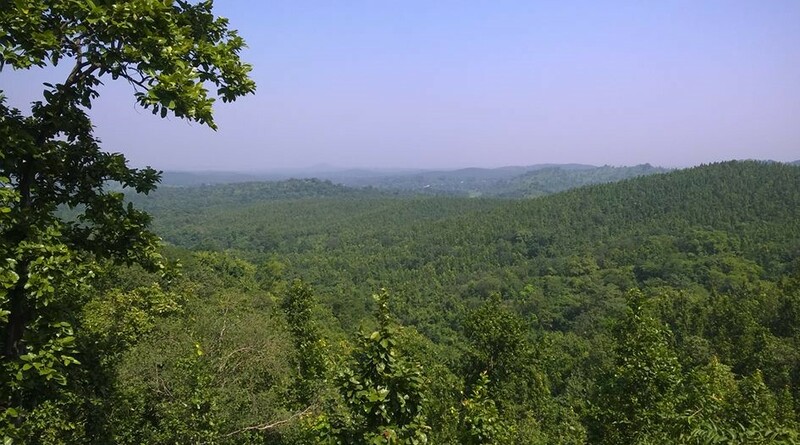 This dense forest popular for its mesmerizing beauty and amazing view. 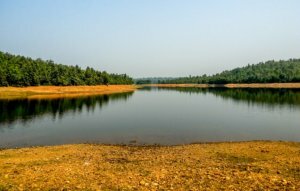 It is one of the most peaceful places in Bankura District. Joyrambati is the beautiful village of Bankura District. 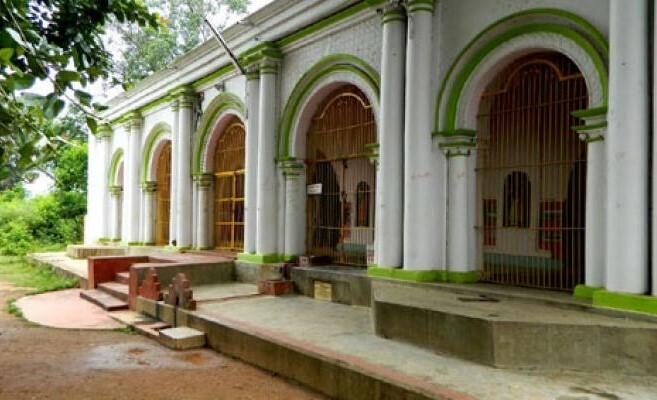 It is a most peaceful place because it was the birthplace of Sree Sarada Devi Mata, who is worshiped as the holy mother by the followers of Sri Ramakrishna. 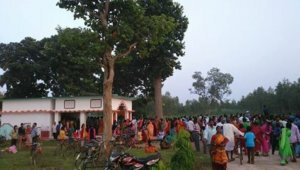 Holy Mother’s Tithi Puja celebration, Durga puja, kali puja, Sri Ramakrishna Birthday these all are the major festival of this Village. 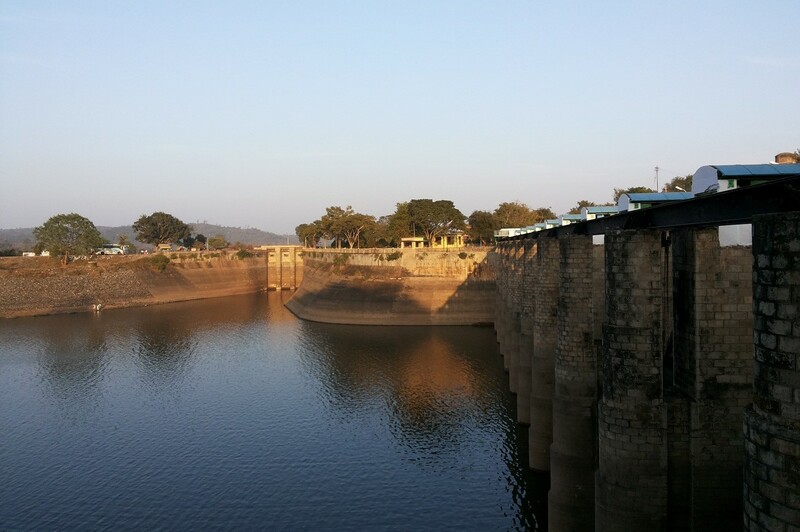 Mukutmonipur is a nice dam with beautiful scenery. 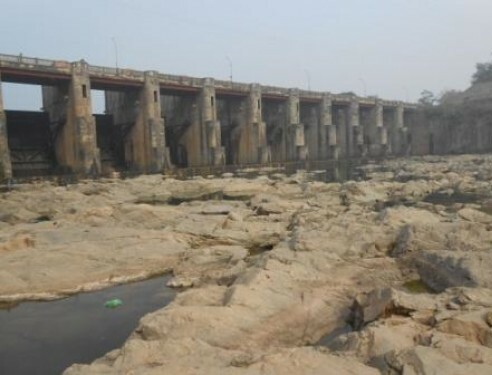 It is located at the confluence of the Kangsabati and Kumari Rivers in Bankura District. Mukutmonipur is the second largest dam in India. It is known as the island of Bankura. 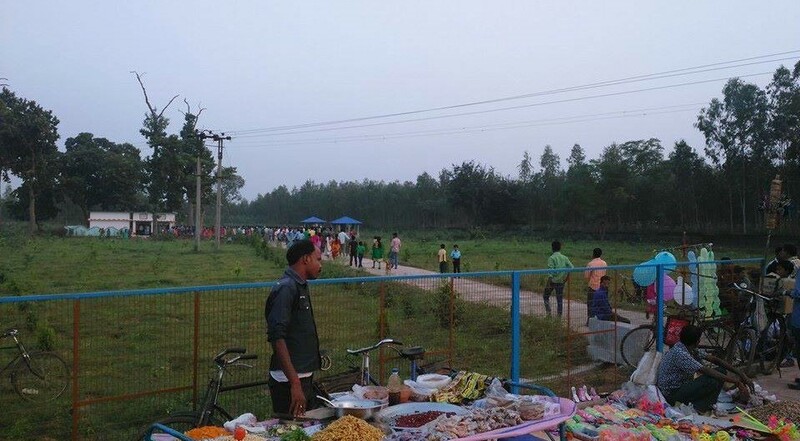 As well as Mukutmonipur is too good for days picnic. 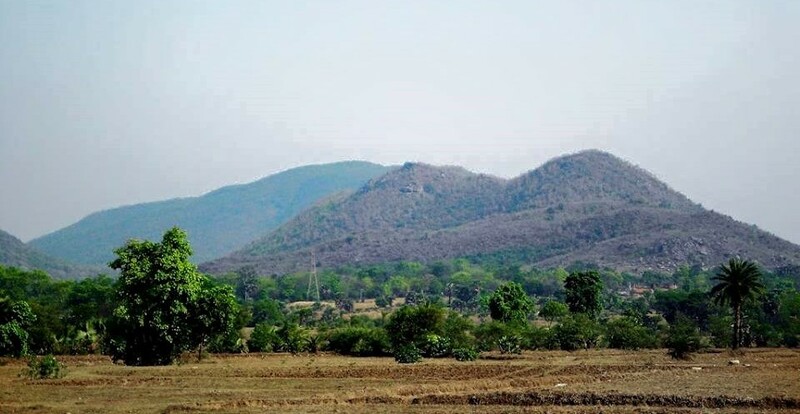 Biharinath Hill has located in Bankura District and it just 55 kilometers away from Bankura town. 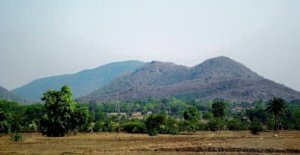 Bihari Nath is the tallest peak (1490 ft. high) in this region and it stands as a guard to the North-Western Border. Various types of flora and fauna are found in this region. 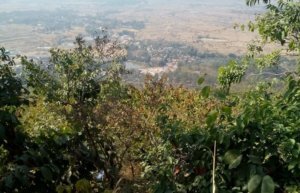 This place is famous for its nature beauty and scenic views. Gum Garh is a nice historical destination of Bankura District. 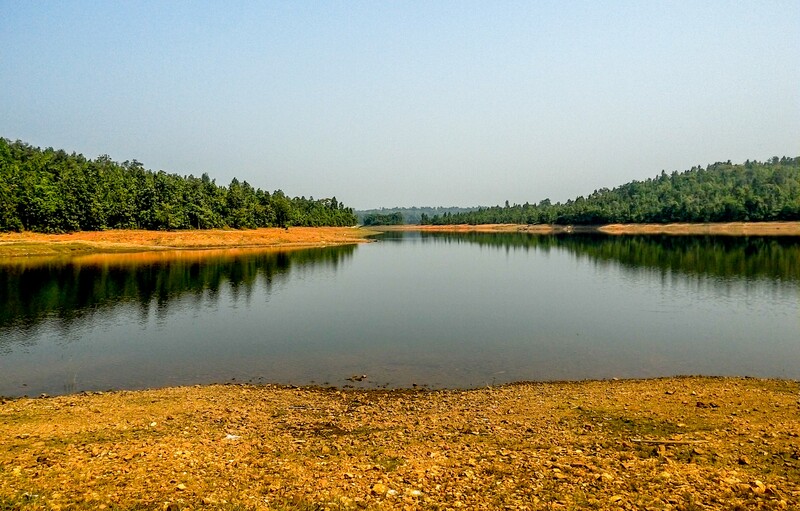 It is situated 5 kilometers from Bankura town. 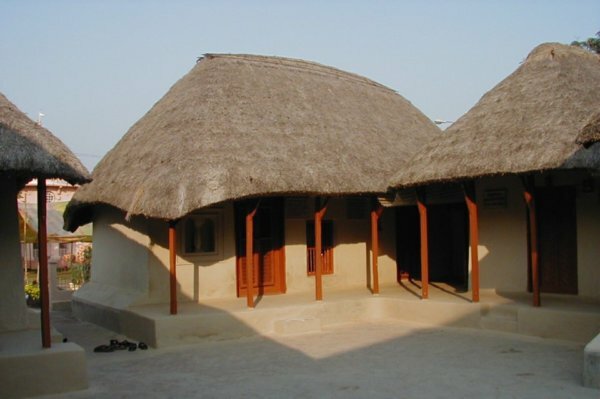 Ghum Ghar means Ghum Castel it is rectangular shape home. 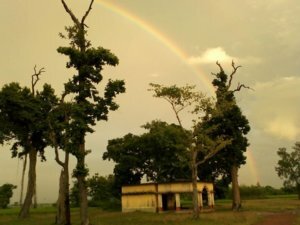 This place is famous as a suicide point of Bankura District. 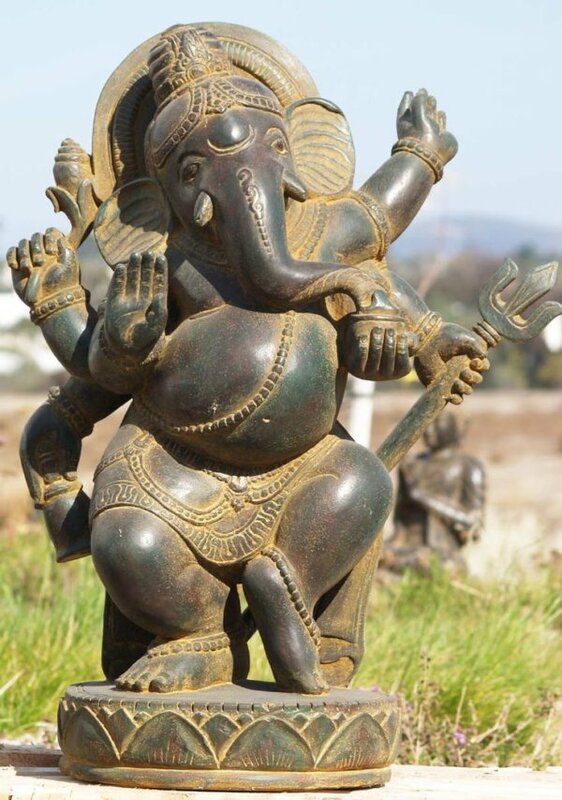 The statues of Ganesh and Nandi is a popular tourist destination of Bankura District. After destroyed old temple a new temple was constructed by the government of west Bengal. 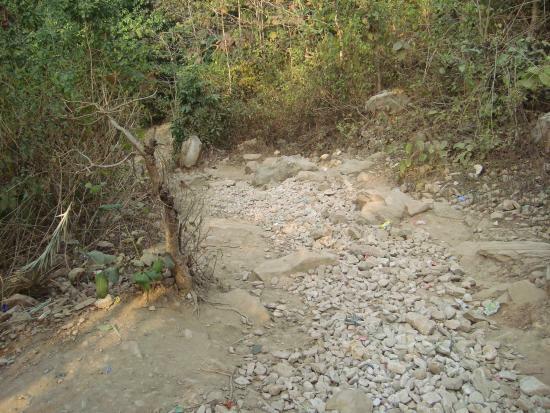 Now it is a part of an archaeological survey of India. 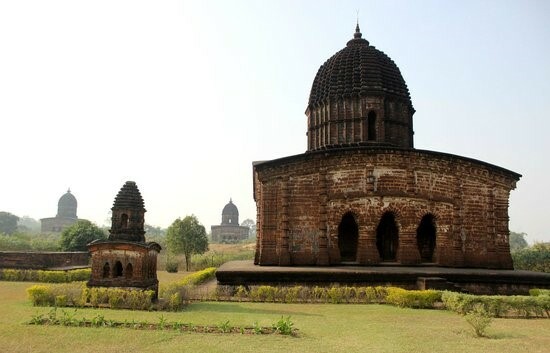 The unique structure and statue of this temple are the prime attraction for the tourist. 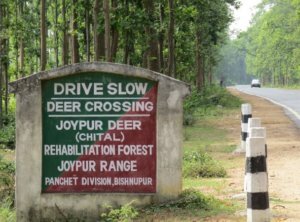 Joypur Jungle is a dense forest in Bankura District. 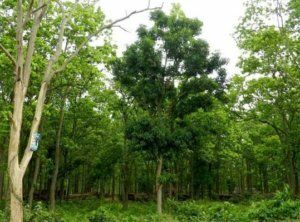 This beautiful forest 14 kilometers away from Bankura Town. Actually, this forest was established to preserve the bio-diversity. 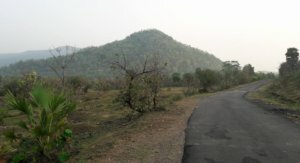 Various types of flora and fauna are found in this forest. 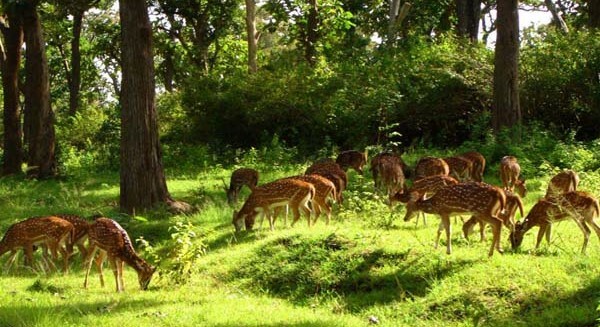 Major floras in this forest are Sal, teak, Sisoo etc and major faunas are spotted deer, Cheethals etc. You would also found a good population of birds here- especially parrots. A forest watch tower is situated inside the forest. 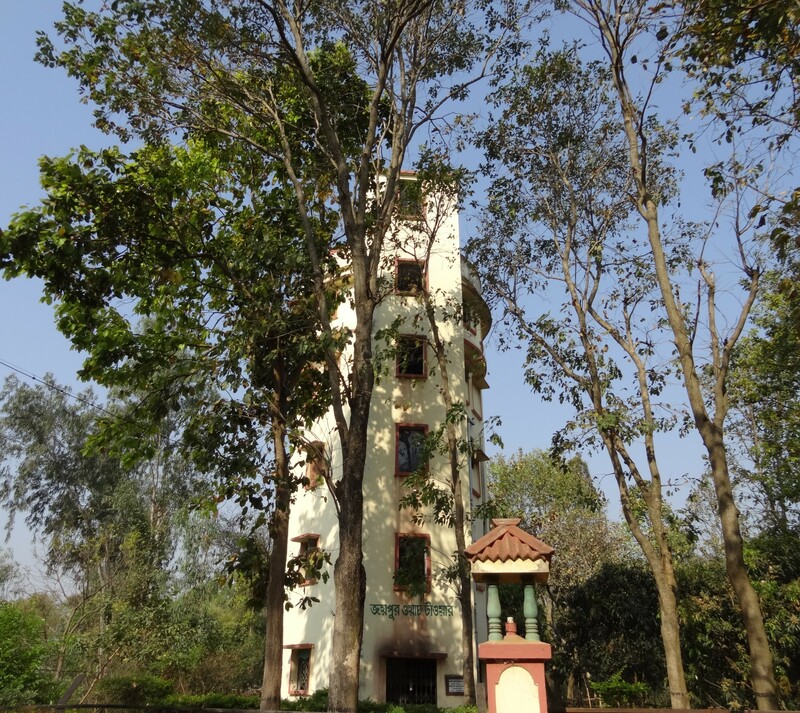 If you go to the top of this tower then you see the scenic view of this forest. 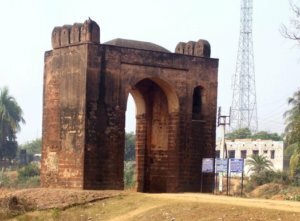 If you love adventure, so friends don’t waste your time and visit all historical spots in Bankura District, which I have already mentioned.